A precious jewel set in a legendary landscape – might yet be the most apt definition of La Montecchia, a wine estate which lies just south of Padua and on the borders of a National Park, within easy reach of such cultural meccas as Venice, Vicenza, Verona, Ferrara, Mantua and Rovigo. 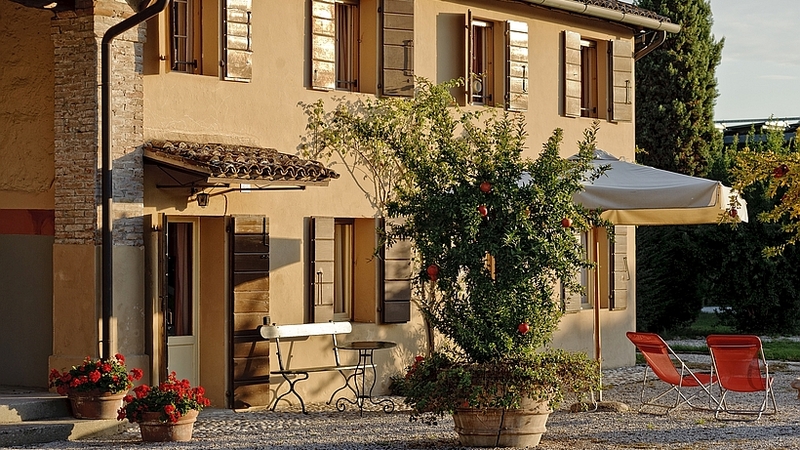 The owner of the Montecchia estate, Count Emo Capodilista, a trend-setter in the Veneto, has restored the individual cottages on the estate with flair and modern comfort. 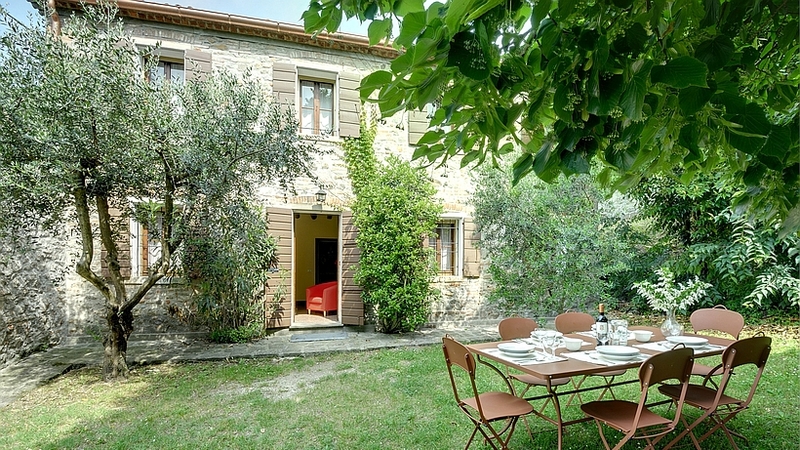 Each house has a personality of its own and its own garden where you will want to wine and dine. Adjacent to the estate lies th La Montecchia golf club which has a pool and a restaurant wich was given a Michelin star in November 2008. The pool is open to guests 6 days a week, from Tuesday to Sunday. Your busy schedule hunting down the works of famous artists and architects needs to be punctuated by memorable meals at local trattorias, for the best of Italian cooking. The wine from La Montecchia has increasingly been winning accolades from leading wine critics all over the world. In 2008 their wine Donna Daria was awarded the highest Italian qualification, the „tre bicchieri“ (three glasses) of the guide Gambero Rosso Slow Food. 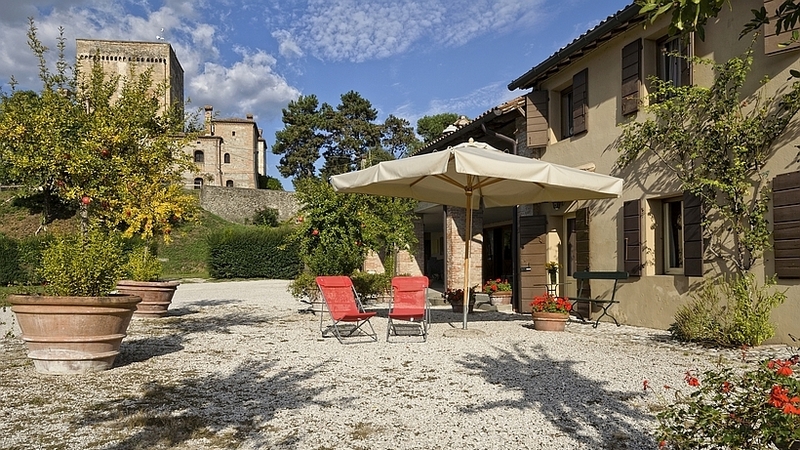 Guests can freely taste and buy the wines of La Montecchia on the premises (special rates for guests). 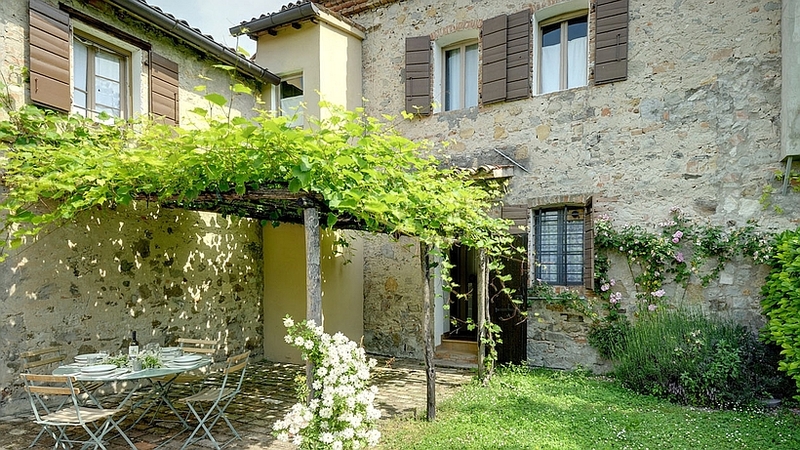 La Montecchia is a medieval hamlet which grows lively at the time of harvest. In 2012 the La Montecchia estate fulfilled its dream of exclusively using solar energy, produced by a large number of panels invisible to the eye as they spread out over the flat roof of the wine cellar. Well done La Montecchia! Grottoes: From April to October every Thursday at 10am (except national holidays) the owners of the nearby estate Frassanelle, will take you on a guided tour of the premises. They will give you some history of the Papafava dei Carraresi family, descendants of the Lords of Padua and some information on the flora and fauna found in the park. The tour will include a visit of the villa and the family chapel. Highlight of the tour are the surprisingly large artificial grottoes built at the end of the 19th century under the main villa. Visits in english. La Montecchia lies 15 km to the south-east of Padua, bordering the regional park of the „colli euganei“ and very close to cultural highlights as Venice, Vincenza, Verona, Ferrara, Mantova and Rovigo. 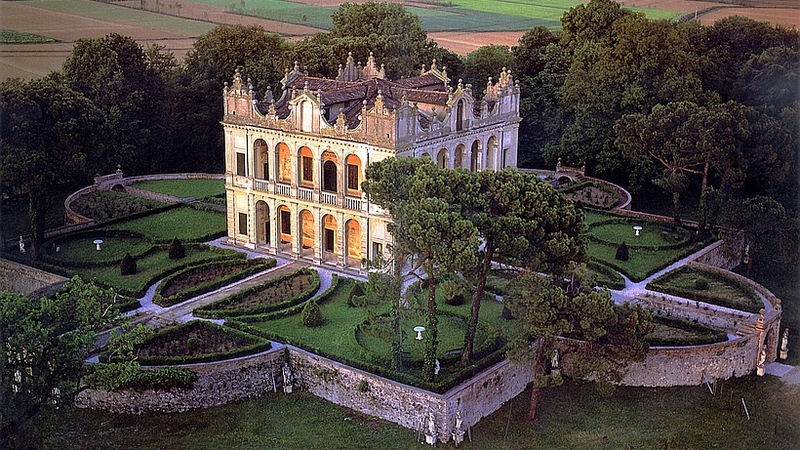 You will also want to visit this region to see the famous Palladio villas. Major cultural centres of northern Italy: The strategic position of La Montecchia make easy visits to Padua, Venice, Vicenza, Verona, Ferrara, Lake Garda, Este, Montagnana, Monselice or Arqua’ Petrarca. Each of these provincial towns offers a multitude of rewarding cultural visits. The thermal baths of Abano: Only 3km from La Montecchia is the town of Abano Terme, a spa where mineral-rich waters emerge at a temperature of 70°C to 80°C. We recommend a day at the spas of one of the luxurious hotels. 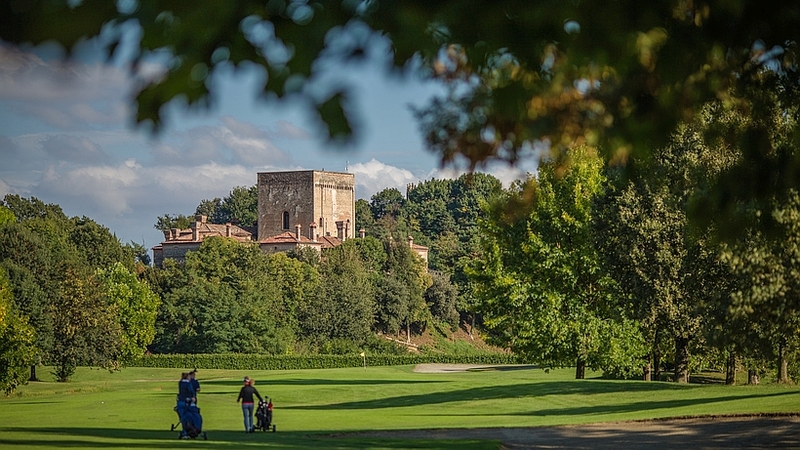 Adjacent to the Montecchia estate is an 27-hole (18+9) golf course designed by Tom McCaulay, Chairman of the British Association of Golf Course Architects. Two further 18 hole golf clubs are in the near surroundings. The Golf Frassanelle and the Golf di Padova are both at a distance of 15 minutes by car. A tennis club lies only 1 km down the road from La Montecchia.